Old Fort Jackson a restored 19th-century fort, was the last tour stop of day 2. This fortification is located on the Savannah River, just 3 miles east of the city. It was constructed in 1808 as part of President Thomas Jefferson’s Second System coastal defense initiative and named after Revolutionary War patriot James Jackson. This brick fort was constructed over an old earthen battery from the Revolutionary War which had been called “Mud Fort.” Soldiers were stationed at Fort James Jackson to guard Savannah during the War of 1812. Following the War of 1812, two periods of construction continued expansion of the fort from the 1840s-1850s, prior to the outbreak of the American Civil War. Local Confederate militia units occupied the fort at the start of the Civil War in 1861. In 1862, it became the headquarters for Savannah’s river defenses after the fall of Fort Pulaski. In 1864 the Confederate troops quickly evacuated Fort Jackson just prior to the arrival of federal troops under the leadership of General William Tecumesh Sherman after his infamous “March to the Sea,” leaving Fort Jackson under control of federal troops. The last American soldiers to be stationed at Fort Jackson were members of the 55th Massachusetts, an African- American unit of the Federal Army. The War Department abandoned the fort in 1905 and the state of Georgia reopened it in 1965 as a maritime museum. 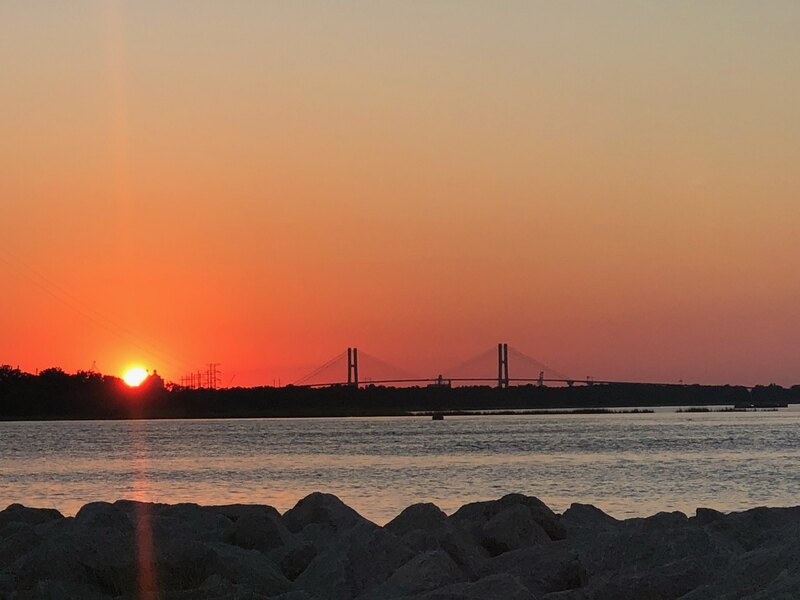 After the state decided to close the museum in 1975, the newly formed nonprofit Coastal Heritage Society approached the State in 1976 asking permission to re-open and operate the site, which was granted. 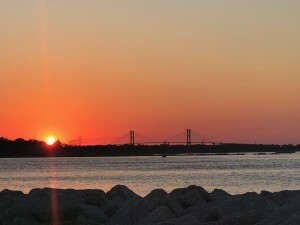 The historic site was now referred to as Old Fort Jackson. In 1978, Fort Jackson and CHS came under the leadership of Scott W. Smith. Operation continued to grow with modest success as did development of educational programming for regular guests and student field trips. 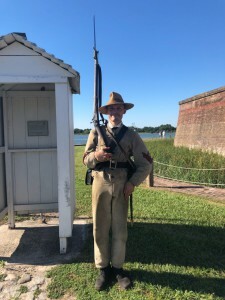 Currently, Old Fort Jackson has a successful model of independent operation and a solid reputation of delivering high-quality, engaging educational programming for booked groups. This program offering has been expanded to regular operation for daily museum guests and includes cannon, musket firings and other interactive & hands-on activities. 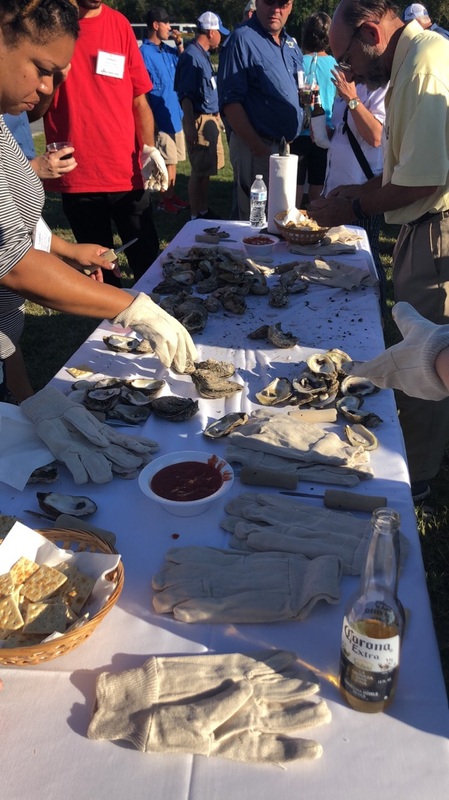 While at this stop, tour attendees had the chance to try steamed oysters and for many this was a first and highlight of the tour, for others, they were just happy with the sunset view they caught on the way out to load the buses. After the oysters and the tour of the fort, attendees had the opportunity to enjoy great southern cooking of fried chicken, mashed potatoes, and dressing. ← Port of Savannah: The Southeast Gateway for the U.S.